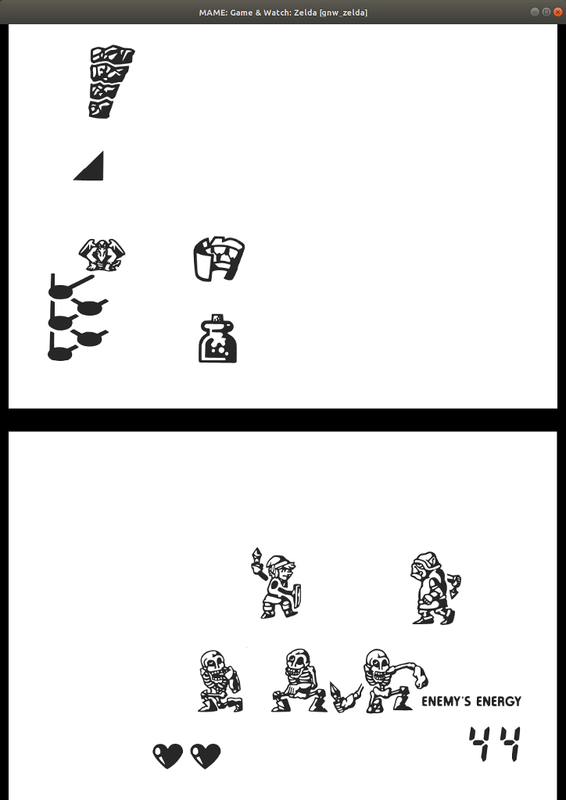 I always like Popeye games. All G&W SM510 / SM5A titles are working perfect! Great! And visualization is awesome too! By the way, how did made anti-flickness of lcd segments on SM5A ? Is it possible to use "analog" lcd simulation of segments slow turn on and off? To prevent flicker or stuck segments, I added a short delay when segments are turned on or off. There is no in-between dim state (MAME's SVG renderer doesn't support such a thing anyway). This one is cyan-only. There's also a version with a 2-color VFD. Anyone has it? I want to see if the VFD segments are the same(and it's only the colours that differ). And a photo of the PCB to see if it's the same MCU serial. Oh damn, I was checking but I must have been looking in the wrong place. I gave this to Sean (thank you again) and I have some artwork for it. 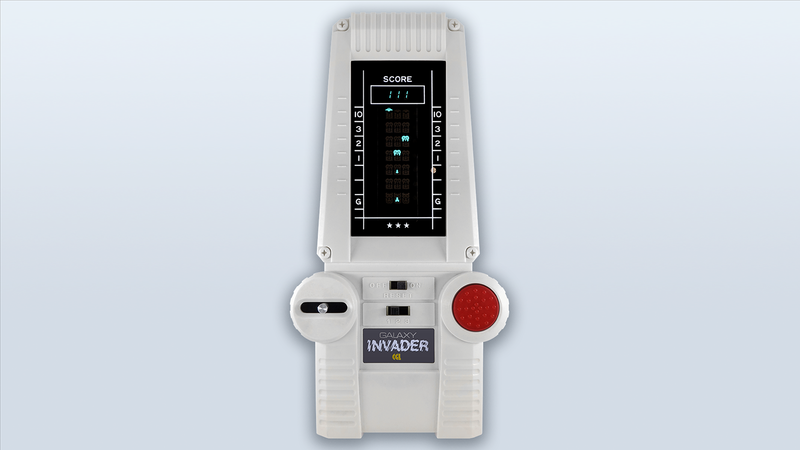 The artwork for Invader is here https://drive.google.com/drive/folders/1g9AX44cYmDGNLIHhyG2vCit3pF3Vk-nV. The sticker says Galaxy Invader because it's the one I had, the UK version. The control stick and button is animated but I can't work out how to do the difficulty switch so will just leave that for now. I wanted to ask, is there a screen effect that would add an outer glow to the SVG? Wow, really nice! Cool to see Gakken Invader being dumped and added to MAME and the artwork is really amazing. Good job everyone! Also, great work with the artwork for Zelda! Want me to do the difficulty switch? Upload cropped Switch.png files(just like the ones you did for the joystick), and I'll take care of it.